Akon likes to learn from the best. 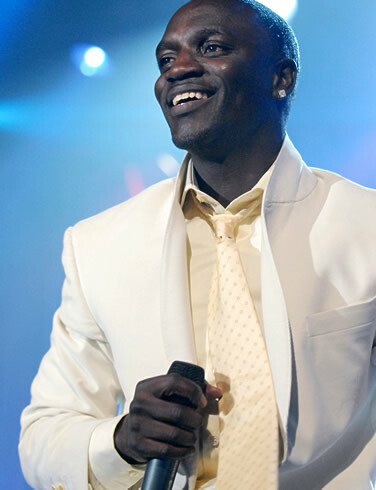 Akon has a few role models and they have two things in common: they’re over 50 and they’ve got lots of money. I love [Donald] Trump and [Russell] Simmons, Akon reveals in the Summer 2009 issue of Rap-Up. But there’s one mogul that stands above the rest. My idol is Warren Buffett. Akon admires the 78-year-old billionaire because he’s the richest man in the world. [Buffett lost the title to Bill Gates this year.] The two had the chance to meet and actually perform together at a show in Los Angeles with Buffett’s son Peter last October. The Beautiful singer made sure not to leave the man holding the No. 1 spot off his list. Bill Gates too! With the Bill [& Melinda] Gates Foundation and all the incredible stuff they’ve done on the foundation side, I try to model my foundation, Konfidence, after that, he says. I always admire people like that, who actually make a lot of money and give the money back. Pick up the new issue of Rap-Up to read the full story.